The Department of Health Sciences at UCF offers the university’s largest major, health sciences. Faculty members teach courses in basic and health-related sciences, including foundation courses required for admission to graduate clinical programs in fields such as medicine, physical therapy and physician assistant. Professional academic advisors work with students to prepare for clinical and non-clinical careers. 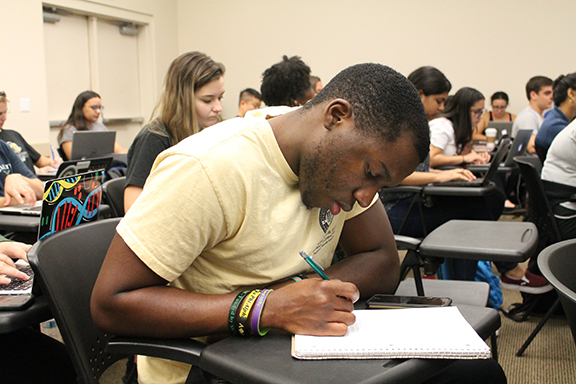 The School of Communication Sciences and Disorders at UCF is home to the largest bachelor’s and master’s degree programs in communication sciences and disorders in the United States. The faculty includes nationally honored scholars with research programs in all areas of the discipline. 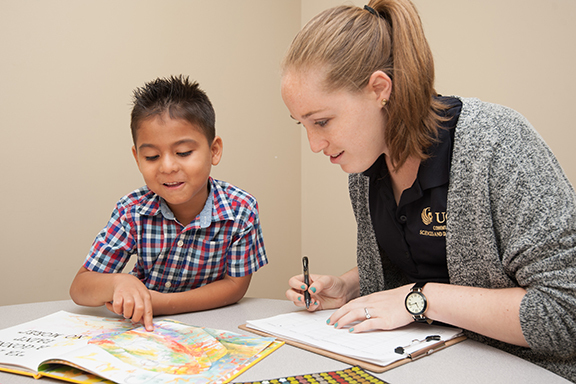 Students gain clinical experience at the school’s Communication Disorders Clinic, FAAST Center, UCF Listening Center and Aphasia House, as well as other educational and clinical settings. The School of Kinesiology and Physical Therapy at UCF includes the Athletic Training Program, Division of Kinesiology (comprises programs formerly known as sport and exercise science) and Division of Physical Therapy. The school is home to specialized teaching labs and equipment, such as an Anatomage; dedicated facilities for research on exercise performance, human physiology and mobility; and the UCF Go Baby Go! initiative. The School of Social Work at UCF offers accredited bachelor’s and master’s degrees in social work, including a popular Online MSW track. The Field Education Office coordinates internships for students at hundreds of agencies across the region. Its research faculty oversees a national Social Work HEALS grant as well as multiple federal grants. The school’s Center for Behavioral Health Research and Training is one of UCF’s newest centers.